Whelan, G., McCabe, H. and Kelly, G, Roll Your Own City, Artwork/Demo to be presented at DIMEA 2008: 3rd ACM International Conference on Digital Interactive Media in Entertainment and Arts, Athens, Greece, September 10th-12th 2008. Whelan, G. and McCabe, H., Towards the Procedural Generation of Buildings, in Proceedings of Eurographics Ireland Chapter Workshop 2007, University College Dublin, December 17th 2007. Kelly, G. and McCabe, H., Citygen: An Interactive System for Procedural City Generation, in Proceedings of GDTW 2007: The Fifth Annual International Conference in Computer Game Design and Technology, Liverpool, 14th-15th November 2007. Kneafsey, J.Virtual Cinematography for Computer Games, M.Sc. thesis, 2006. Kelly, G. and McCabe, H., Interactive Generation of Cities for Real-Time Applications, Research poster presented at SIGGRAPH 2006, Boston, MA., July 30th – Aug 3rd 2006. Download abstract. Download poster. McCabe, H., Games Research at ITB, Article from The Bridge newsletter, Irish Scientist magazine, March 2004. Smith,M. Direct Manipulation and Multimedia Interfaces for Learning, Presented at the Third Annual irish Educational Technology Uers’ Conference – ED-TECH 2002, Institute of Technology, Carlow, Ireland, 2002. Giannakis,K. and Smith,M. Imagining Soundscapes:Identifying Cognitive Associations between Auditory and Visual Dimensions, Chapter in R.Godoy & H. Jorgensen (eds), “Musical Imagery“, Swets & Zeitlinger, Netherlands. Giannakis,K. and Smith,M. Audio-Visual Associations for Music Compositional Processes: A Survey, In Proceedings of the International Conference on Music and Computers – ICMC-2000, Berlin, Germany, August 2000. McCabe, H., Approaches to Rendering Using Global Adaptive Importance Sampling, Proceedings of the 18th Eurographics UK Conference (EGUK2000), April 4-6, Swansea, March 2000. McCabe, H., Markov Chain Monte Carlo Methods for Global Illumination, Technical Report TCD-CS-1999-49, 1999. 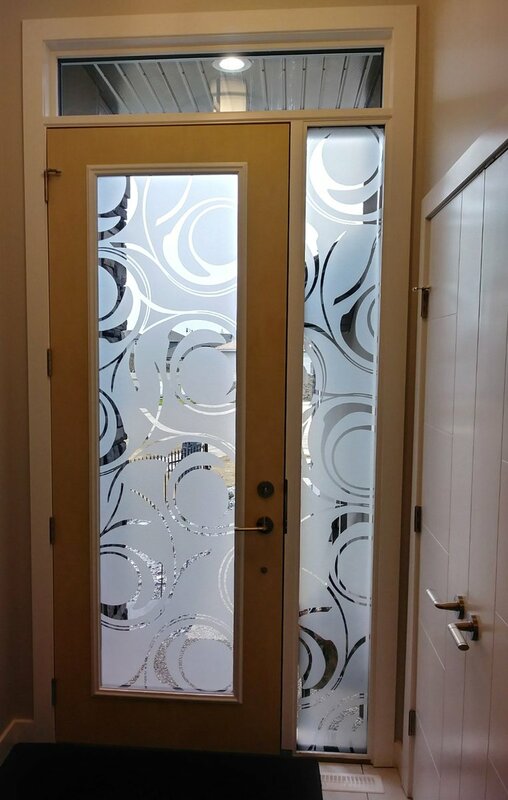 Enhance your front entry with creative and #modern frosted #window #graphics. 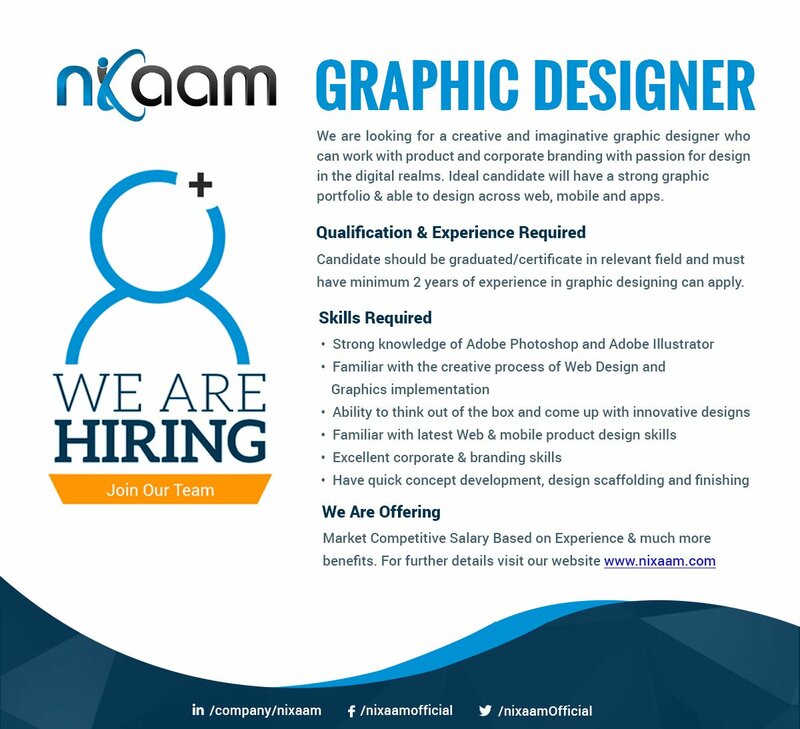 niXaam is looking for Graphic Designer...!!! Interested Candidates may send their resumes at hr @nixaam.com with subject "Graphic Designer TW-240419"